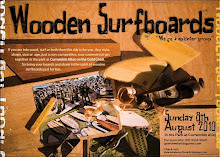 Wooden Surfboards: Wooden Surfboard Day 2014 - Sunday August 3rd. 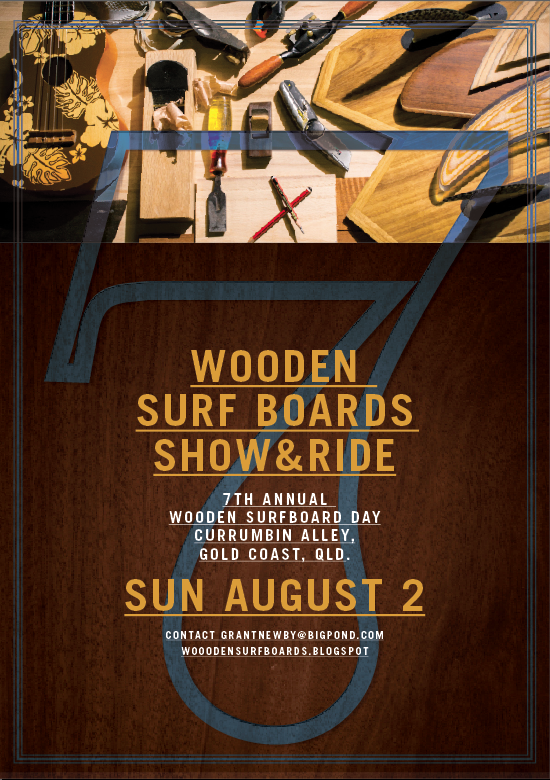 Wooden Surfboard Day 2014 - Sunday August 3rd. 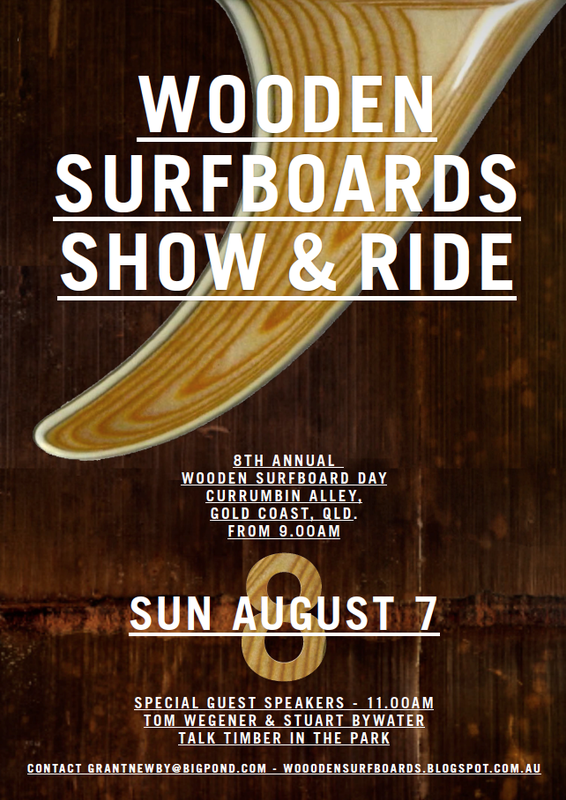 This years Wooden Surfboard Day will be held on Sunday 3rd of August in the park at Currumbin Alley as usual. 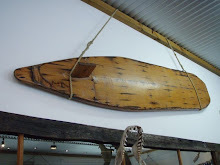 On the Saturday night before we will get together for a few beers and a BBQ at the Surf World Surf Museum. 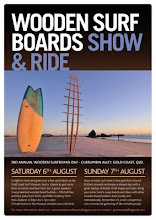 The gathering is a great way to conect with other board builders and like minded people prior to the day in the park and enjoy the wonderful display of boards and surfing history at the museum. 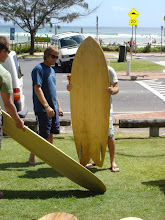 I have organised a guest speaker for the night, Sergi Galano from Flama Surfboards in Spain. 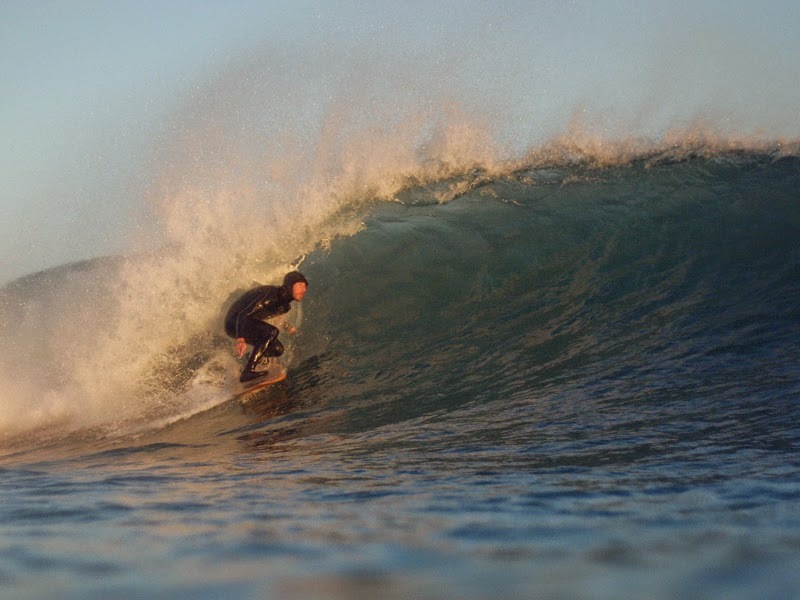 Sergi Galanó was born by the Mediterranean Sea in Barcelona (Spain) in 1974, and he has been involved in surfing for more than 20 years. In 2002 Sergi quit his job as a graphic designer and moved to a lost valley in the Spanish Pyrenees, where he opened the Tacita hostel. 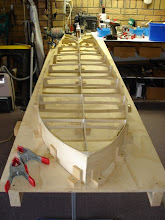 Living in a low budget style brought him to discover a new passion: woodwork. There he rehabilitates a house, builds a kitchen, bunk beds or whatever is needed. He even builds start to finish a two storey wooden house. Also, together with some friends founded the association AVF, to fight against a proposed Ski Resort to be built in their valley, and he ended being elected councilor at the local council for four years. 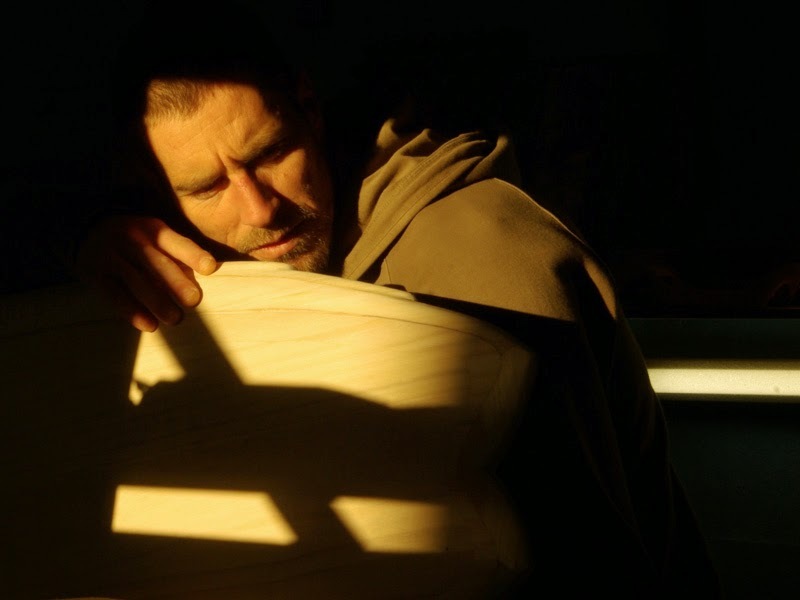 Creativity has been a constant through his life: music, graphic and industrial design, woodworks of any kind, or anything as long as there is a creative challenge invlolved. 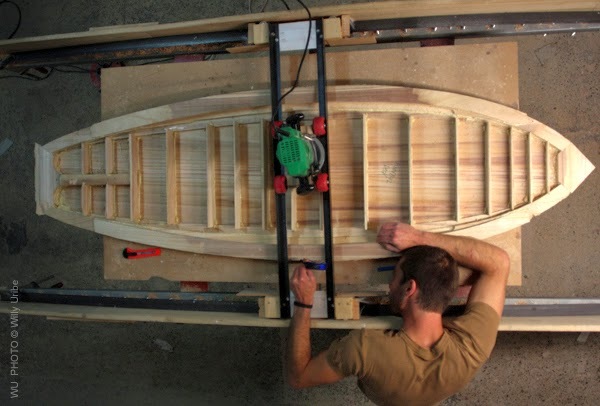 In 2009 Sergi built his first wooden surfboard with agave wood, and after meeting Tom Wegener during his European tour and discovering the possibilities of paulownia wood for building surfboards, he decided to fully devote himself to his next project: building a 100% organic surfboard. 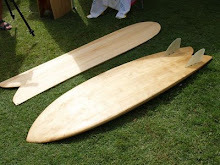 After dedicating a full year to experimenting and mixing different hollow-box building techniques, Flama was finally presented to the surfing world in the Salinas Longboard Festival in Spain, 2011. 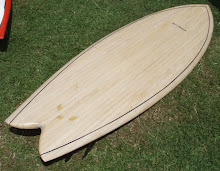 Although they sell finished surfboards, Flama focuses on building wooden custom blanks for shapers or anyone eager to shape his own board. 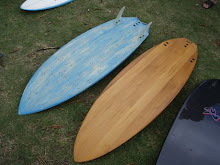 They want to introduce a slight variation in the surfboard manufacturing process: instead of making a custom board out of a standard foam blank, now the shapers can also offer hollow wooden surfboards made from custom blanks. 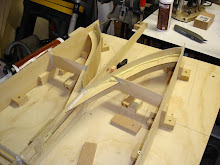 Flama blanks come with its final outline and foil, and are shaped with the same tools and techniques, with the only difference being that after the shaping process the board does not need to be fiberglassed. 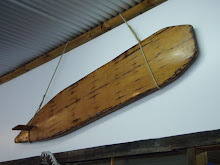 Today Flama is sharing its facilities with Montjuich Surfboards –one of Spain’s most respected longboard shapers, speciallised in surfboard replicas from the 1960 to 1972 period– which allows the possibily to work closely with him and offer some of his models made with wood. 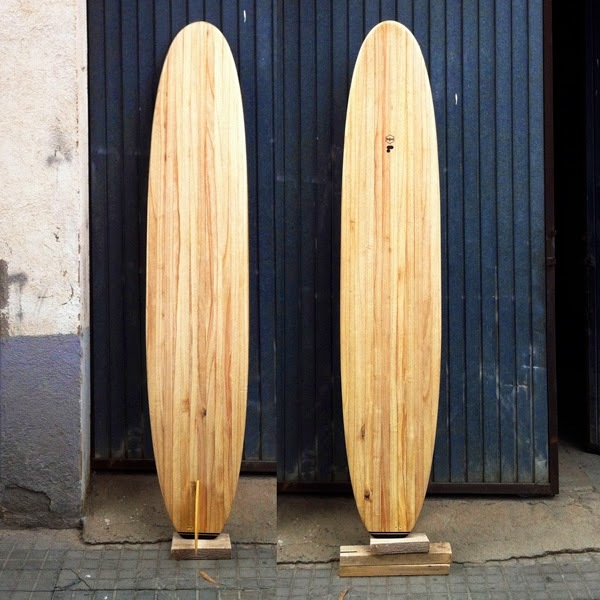 Flama’s latest projects include some tow boards for the Spanish charger Axi Muniain, as well as a few big wave guns, some of wich have been made with chambered construction techniques. 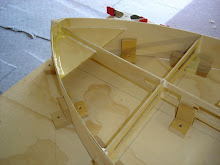 The results have been mesmerizing, and demonstrate once again that the possibilities of paulownia wood seem endless. 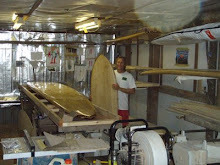 Sergi will be talking about his expeience in setting up his business and his method of building wooden boards. I am sure you will have plenty of questions for him and experiences to share.I look forward to meeting you and our day in the park with your boards and stories. 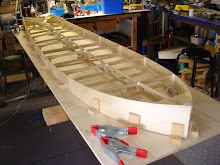 This is a great way to learn about what others are doing and how theyt are going about building wooden boards. 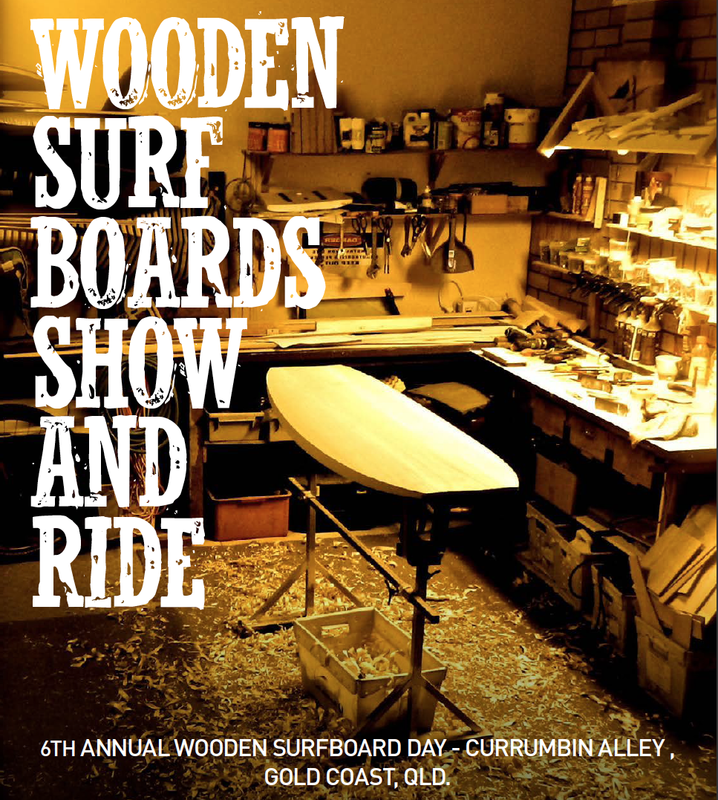 If you have built a wooden board you will now know there is no easy way to build one.So no matter what the experience or outcome, bring your board and proudly share the journey.We have been there to. 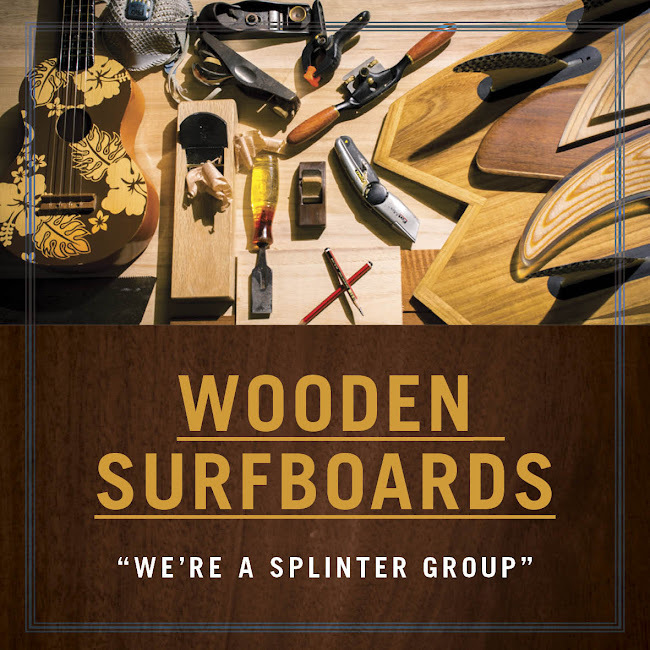 "Remember we Wooden Board Builders and Surfers are a splinter group"
Wooden surfboards have been around for a long time and it was probably on a simple piece of wood that man first enjoyed surfing waves somewhere in the world. It may have only been a crude piece of driftwood found on the beach that served as a way of catching that first wave, but the joy and connection felt with the sea then is no different from what we feel today. 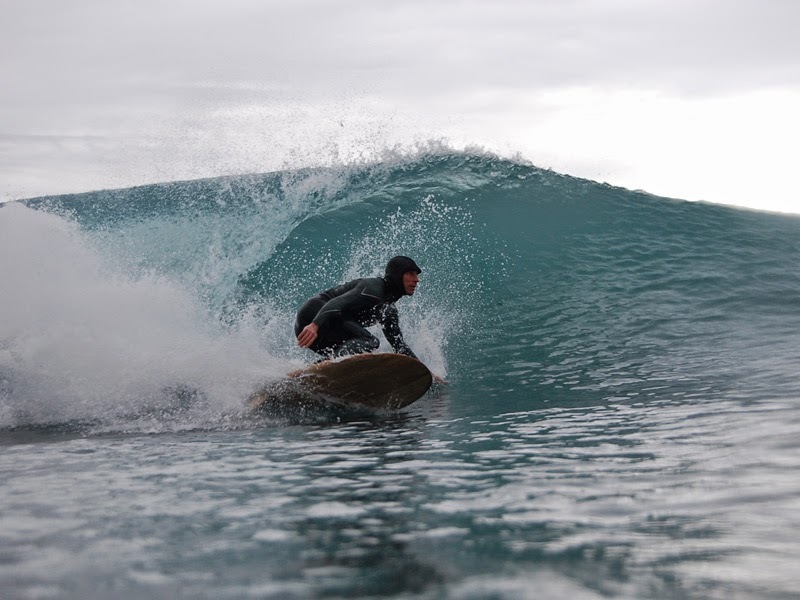 As someone who has crafted a surfboard from wood, taken it out and caught a wave on it, I can tell you that the first time you paddle in and get to your feet, is truly a timeless feeling of joy and achievement. I hope that in assembling this list of talented people will inspire you to have a go at building your dream board and also experience that feeling for yourself. 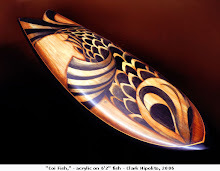 Wood in the raw - the fish is unglassed as well.